Some of the world’s top scientists don’t understand the genetic disorders that afflict Amish children. 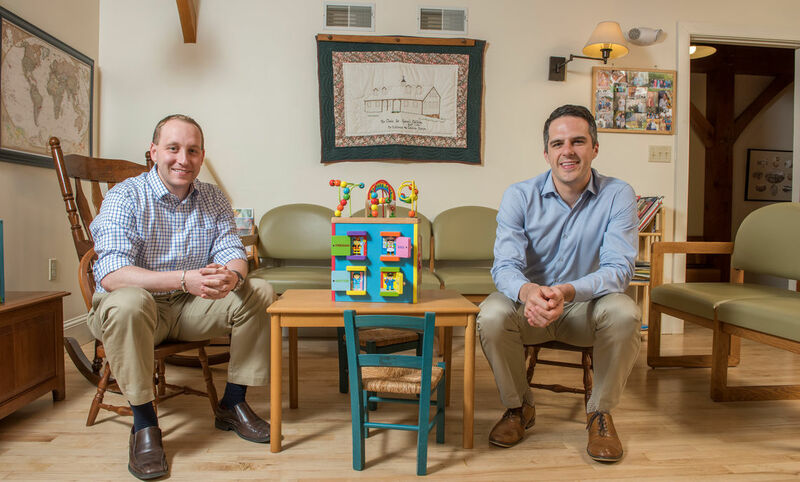 At a new clinic in Delaware, Matt Demczko ’08 and Mike Fox ’07 will crack the code together. When Dr. Kevin Strauss launched a class at Franklin & Marshall College to explore translational medicine – the way cutting-edge technologies could be applied to underserved populations such as the Lancaster County Amish – he found a willing pupil in Mike Fox ’07. Simply put, he says, that means better outcomes, higher survival rates and lower costs to the consumer. A decade and a couple of medical degrees later, Fox and a friend from F&M, Matt Demczko ’08, recently completed fellowships at the CSC. Now they’re set to open their own clinic in Delaware, where they will serve the growing Amish community near Dover. Slated to open in August as part of the Nemours Children’s Health System, it will share a footprint with a Nemours-run primary care practice. It’s designed with the Amish in mind – local art and quilts on the walls, hitching posts in the parking lot. Fox spent a year at Lehigh University before transferring to F&M. He graduated in 2007, then went to the University of Pittsburgh School of Medicine, finishing his studies there in 2011. He completed a three-year residency at the Children’s Hospital of Pittsburgh and spent an additional year as chief pediatric resident. Fox joined the University of Pittsburgh School of Medicine faculty for a year, then moved to the Delaware Valley and began his association with the Nemours. Demczko graduated from F&M in 2008 and went to Philadelphia’s Jefferson Medical College, graduating in 2012. He did his residency and chief residency in pediatrics at Nemours/Alfred I. duPont Hospital for Children in Wilmington before joining the staff there. While the public perception is that the Amish shun medical care, Demczko says that’s not always true. “Many of them are very open to medicine, and to therapies that can help their children,” he says. In many ways, he says, that means the largely agricultural community is poorer and divided even more from the surrounding population. 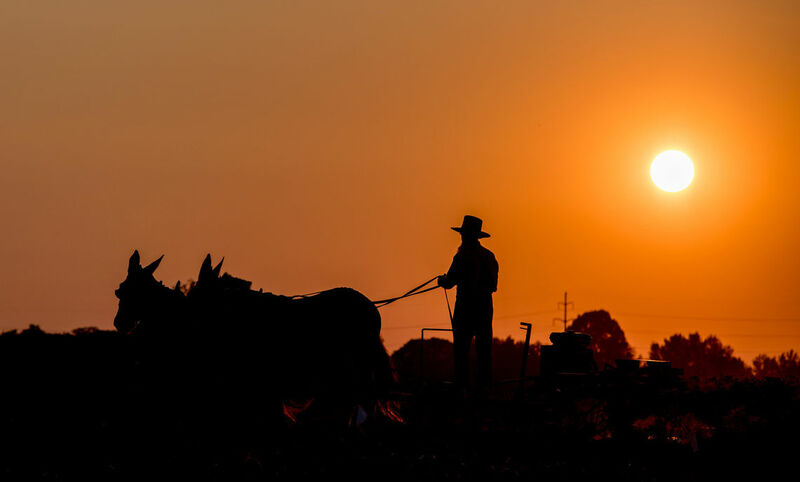 The population emigrated from Ohio, not Lancaster – meaning Dover communities’ risk for genetic disease is similar to other Ohio Amish groups. Fox says folks at the CSC discovered a previously unknown ailment in six patients among the Delaware Amish. It’s a peculiar genetic mutation of an enzyme that converts DNA into protein. Because of the mutation, afflicted children suffer a whole host of physical problems. Four of the children have already died from liver failure. They also had problems with their brains, blood sugar, hearing, vision, pancreatic function and growth. The doctors have a theory that liver transplants might help manage the symptoms and allow these children to live longer, more productive lives. And even if they can’t help these particular patients, “we might be able to help the next generation of children born with the disease,” Fox says. Of course, the Amish have limited access to health-care providers because they travel by horse and buggy. If they need to travel outside the local area for specialized care, they will hire a driver, which can be costly. Strauss says the Strasburg clinic, which opened in 1989, led to the creation of similar clinics serving Plain-sect populations in Indiana, Ohio, Kentucky, Wisconsin and elsewhere in Pennsylvania. Fox and Demczko grew up about 20 miles apart in central Pennsylvania, Fox in Selinsgrove and Demczko near Mount Carmel, but they didn’t meet until F&M, where they took classes together and had overlapping circles of friends. They joked about working together but had no plans to do so until circumstances brought them both to Nemours and the affiliated clinic in Strasburg. “Nemours was looking to hire two people. It just happened to be Matt and me,” Fox says.